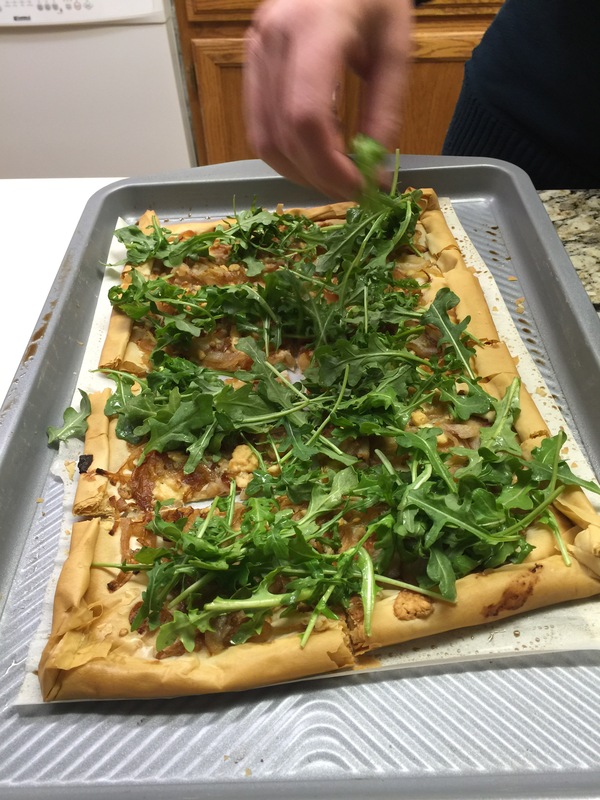 What’s a Galette you ask? Well, it is pretty much a French term for a flaky crust, free form cake or pancake. What sounds better than a savory, flaky crusted pancake served for dinner? 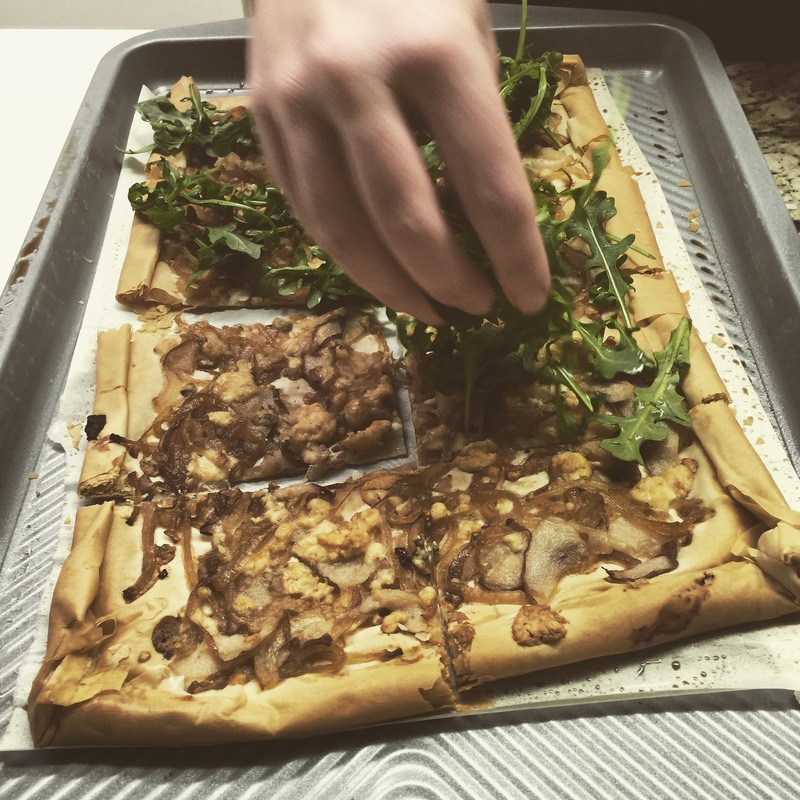 During a mountain weekend to Breck, my beautiful and food-loving friend Katie, decided to treat us to her very simple and delicious take on a Gorgonzola Pear Galette. It made ladies night such fun; we sat around and drank wine while watching her cook. It is a super easy recipe to remember and anyone can do it justice. There are also some other yummy versions you can try, but I will save that for later in this post! Let’s get started! 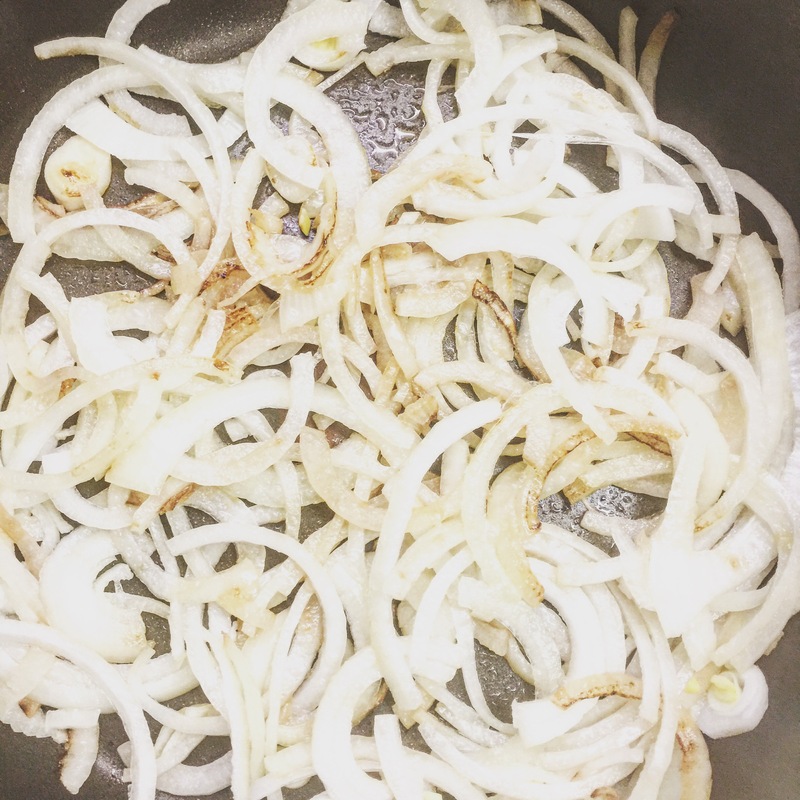 The first step is to thinly slice your onion and saute in a well greased skillet. Second, you slice up the pear just as thinly as your onion. You may then proceed by taking glamour shots. 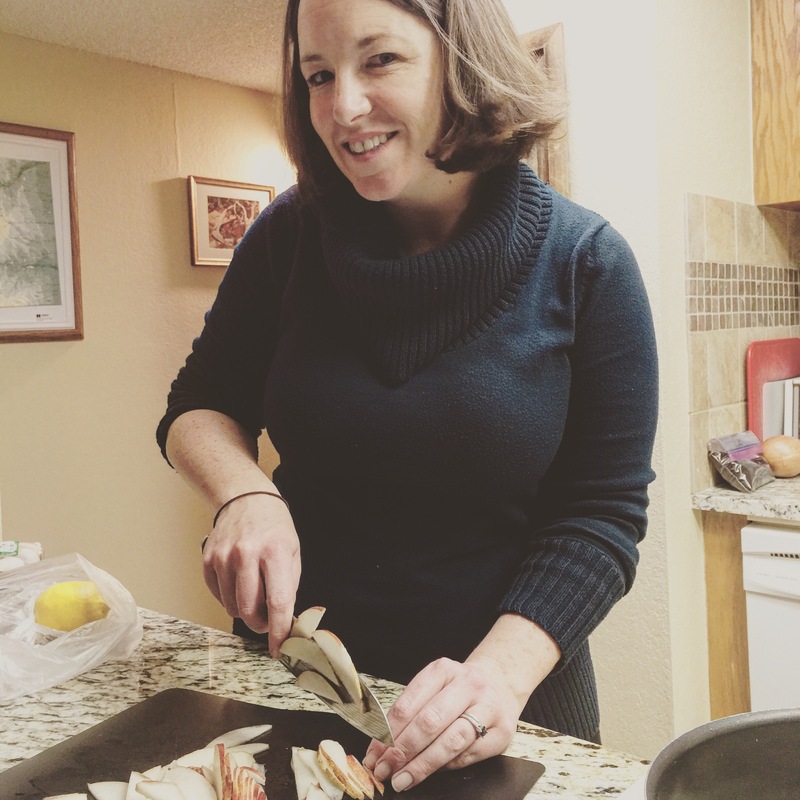 This shows the chef is both beautiful and multitasks well in the kitchen. 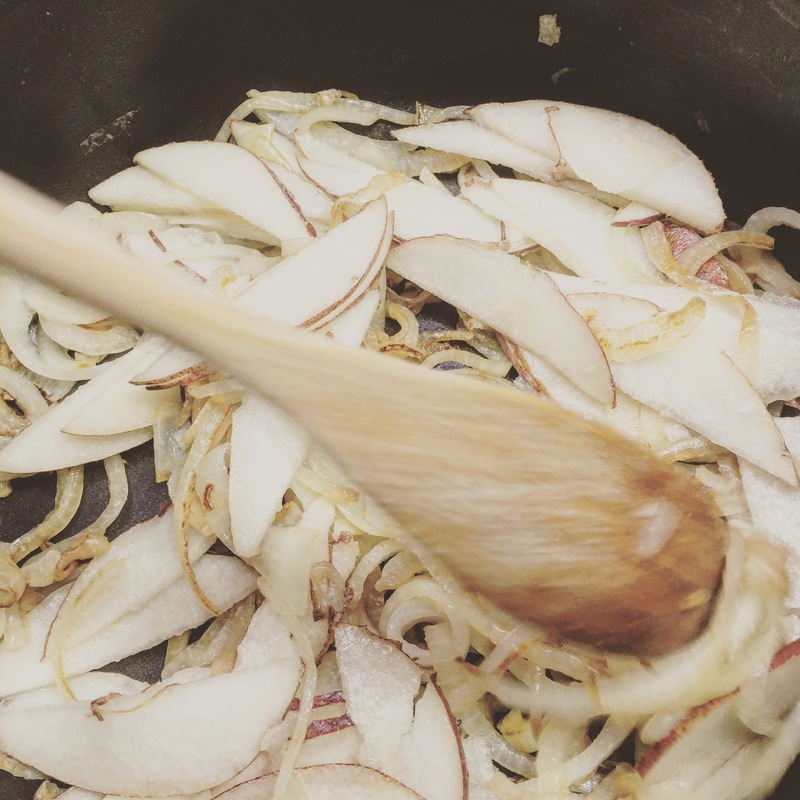 Add these gorgeous thin slices of pear to your onions in the saute pan. 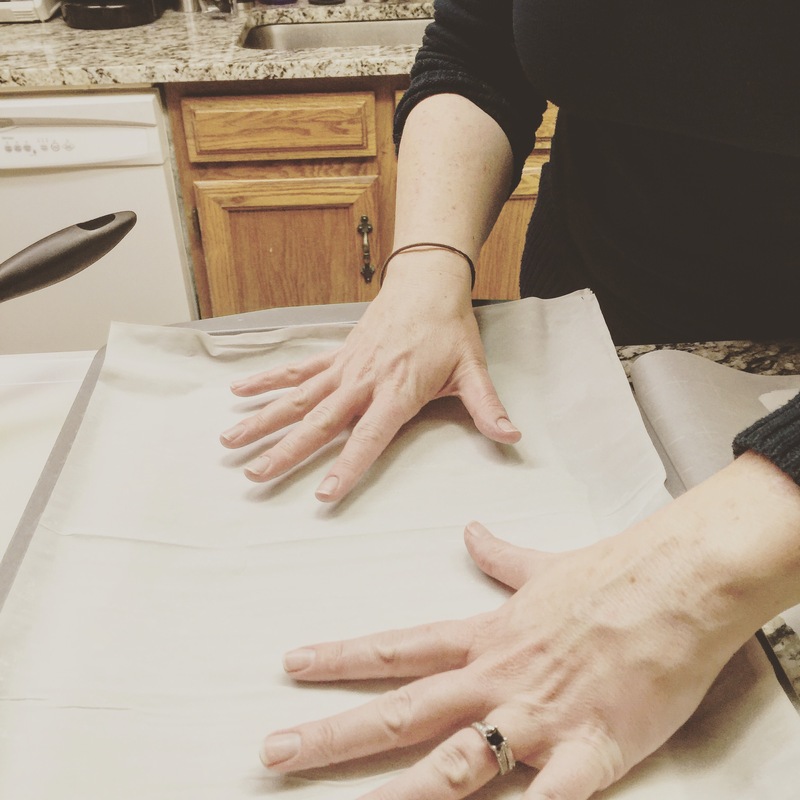 Prepare your filo by separating and placing the first layer onto a greased cookie sheet. Use spray (or melted butter) before adding a second layer of filo on top. Repeat this, buttering between each piece for 6 layers. Don’t over do the greasing or the filo might get weighed down. This is why the spray butter option is best. 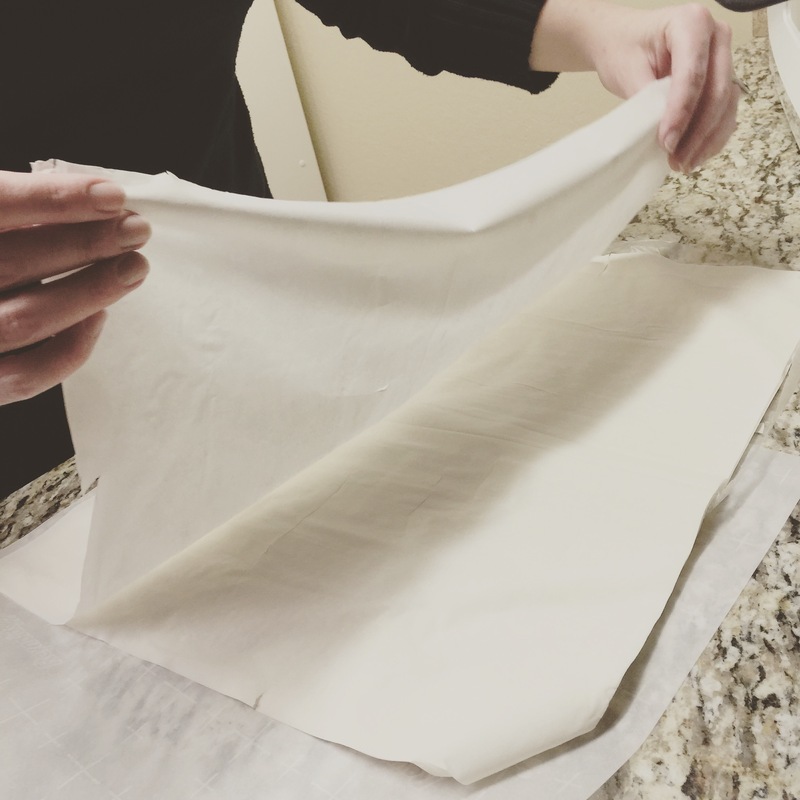 Six sheets of filo should be sufficient in creating a flakey delicious crust without any sogginess. 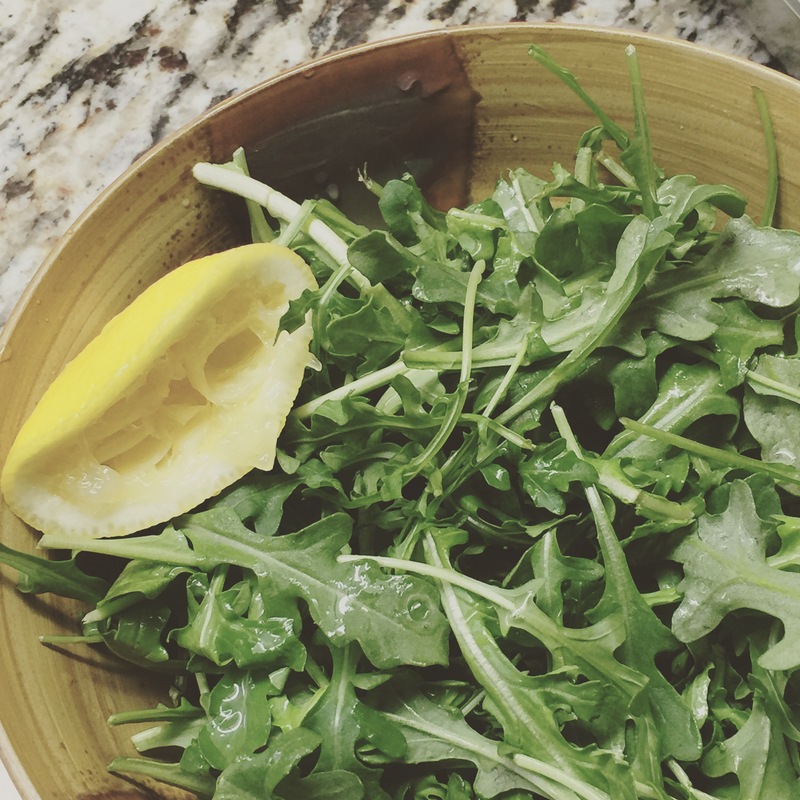 On the side, wash your arugula and squeeze fresh lemon on it. Toss, and set aside so it can absorb the citrus upon bringing the Galette out of the oven. Layer your onion and pear mix gently on top of the filo and place in the oven. After 15 minutes take the pan out and sprinkle Gorgonzola on top. Let it then bake for an additional 10 to 15 minutes or until golden brown. It will need to cool for 5 minutes. Following add the lemony arugula on top. Some people also sprinkled walnuts on there pieces. Cut into squares with a pizza cutter and serve. This is a great appetizer for parties or great for a dinner with you and your special someone. Next Post #EDGEFashionSeries at Four Seasons – oh yes!